They say everyone's a comedian, and "they" are huge liars because everyone definitely is not. It takes balls to get up in front of an audience, and actual funny people still have to cut their teeth at open-mike nights. Chicago happens to have an impressive array of Monday-night open mikes at venues ranging from the Logan Theatre to ComedySportz to Schubas to Renaldi's ($2 slices!). At Seminary Co-op Bookstore, Historian Andrei Lankov, author of The Real North Korea: Life and Politics in the Failed Stalinist Utopia, discusses North Korea in the lecture titled "World Beyond the Headlines." 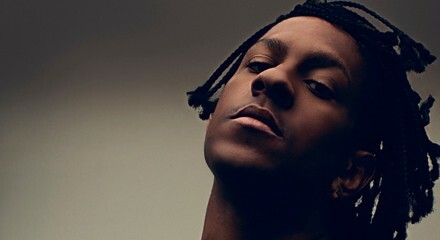 Mykki Blanco, whose last appearance in Chicago was at Beauty Bar alongside burgeoning club music stalwarts Supreme Cuts and DJ Teen Witch, performs at the Empty Bottle with Banjee Report and GTW.